I’m in the midst of reading Blackwater, by Michael McDowell. It is, you might say, as if The Shadow over Innsmouth was written as a generational family saga set in rural Alabama. It is strange, funny, warm, and frightening, and a true pleasure to read. That triggered a lengthy quest for the books, which I chronicled here. I was never able to track down all six volumes, although I did manage to locate the Science Fiction omnibus collection of the first three. So I was very pleased to hear that the industrious folks at Valancourt Books have published a massive one-volume edition of the entire series. It was released in hardcover and trade paperback earlier this month; both editions feature a full wraparound cover by MS Corley. Nathan provides the introduction to this edition. Here’s the decription from the Valancourt website. Originally published as a series of six volumes in 1983, Blackwater is the crowning achievement of Michael McDowell, author of the Southern Gothic classics Cold Moon Over Babylon and The Elementals and screenwriter of Beetlejuice and The Nightmare Before Christmas. This first-ever one-volume edition, with a new introduction by Shirley Jackson Award-winning author Nathan Ballingrud, marks Blackwater’s first appearance in print in three decades and will allow a new generation of readers to discover this modern horror classic. Michael McDowell has had a fascinating career. Stephen King called him “the finest writer of paperback originals in America,” and he also has a well-earned reputation for crafting some of the most original horror-comedies of the 80s and 90s. His screen credits include Beetlejuice (1988), six episodes of Tales from the Darkside (’85-88), two episodes of the TV series Monsters (’89-90), the screenplay for The Nightmare Before Christmas (1993), and Stephen King’s Thinner (1996). See his complete resume at IMDB. 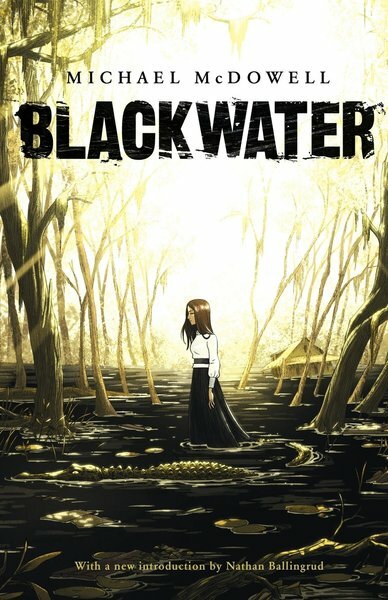 Blackwater was published by Valancourt Books on October 2, 2017. It is 800 pages, priced at $39.99 in hardcover and $27.99 in trade paperback. The cover is by MS Corley. Get more details at the Valancourt website. This is an author I’ve managed to miss and, while this collection sounds wonderful, I wonder if anyone familiar with his work could recommend a single, shorter, stand alone novel. It would be nice to get a sense of his style before going all-in on this epic. I read The Elementals last year and really dug it. It’s a a tale of a messed up family and a haunted house on the Alabama coast. Very memorable. According to the copyright page of my ebook copy, the cover artist is MS Corley. It looks great. I’m about to dive in for my October horror novel. > According to the copyright page of my ebook copy, the cover artist is MS Corley. Thanks Stephen! I’ve updated the article accordingly. This is an author I’ve only recently learned about. He’s given some fairly significant space in Hendrix’s latest Paperbacks From Hell, who seems to have a very fond appreciation of McDowell. According to Hendrix, if I’m remembering correctly, this series was part of the “Southern Gothic” movement, whatever that means. You really can’t go wrong with any McDowell novel, but I’ll second the recommendation of “The Elementals” as his best. 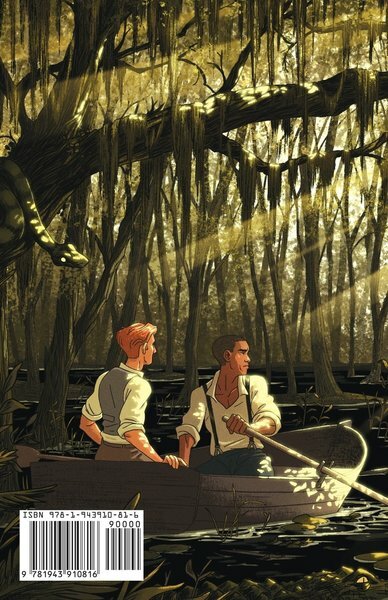 I like the description of it as The Shadow over Innsmouth as a generational family saga set in rural Alabama. I read these when they were published. The 6 individual books were all under 200 pages so it might not be quite as massive as it sounds. And now the author’s Cold Moon Over Babylon has been made into a film.